Brief summary: while hardening AdGuard’s crypto-jacking protection, we discovered four involved popular websites (mostly streaming) with an aggregated audience of almost a billion people. We have already told you in our blog (part 1, part 2, part 3) about the problem of stealth mining (the so-called "cryptojacking"), but this story is not going to end. Just two(!) months after its first launch, this technology has been used on thousands of websites with a total estimated traffic of a billion(!) monthly visits. Now, after an additional three weeks have passed, we must regretfully report that cryptomining has soared to even greater heights. Ad blockers were first to respond to this new menace and implement protection against mining on websites. Thanks to the popularity of ad blockers, a significant portion of Internet users received the necessary protection in a very timely manner. Naturally, "crypto-jackers" are not pleased with this counteraction. Cryptojacking is defined as the secret use of your computing device in the background to mine cryptocurrency. It is enough to open the page with the script of the miner, and you will begin (without knowing) to "mine" the cryptocurrency for the script owner. The CPU consumption, in this case, can reach very high values, almost completely occupying the resources of the computer. Almost 2500 downloads per day - that's a LOT! 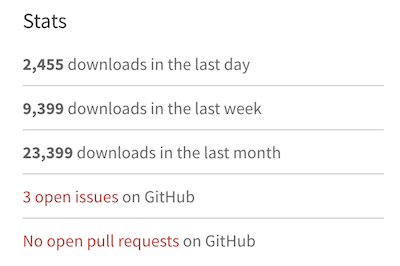 For the sake of comparison, jQuery (one of the most popular libraries, used for more than 70% of the sites on the web) has around 100,000 downloads per day, according to statistics. We are not going to sit idly by as the crypto-jackers try to overwhelm our efforts to protect our customers. We have improved the security rules in AdGuard, and now we can detect crypto-jacking even if the site tries to hide it from ad blockers. If you find a website that is mining, you can send us an automatic notification about this site. We use this data to analyze the situation and develop simple blocking rules that can be used by other ad blockers. Restrictions: this new functionality is not yet available in the AdGuard extension for Firefox, and, due to technical limitations, in AdGuard for iOS. Both use the simple blocking rules we mentioned above. While analyzing the first complaints, we came across several VERY popular websites that secretly use the resources of users' devices for cryptocurrency mining and were avoiding ad blockers so far. According to SimilarWeb, these four sites register 992 million visits monthly. And the total monthly earnings from crypto-jacking, taking into account the current Monero rate, can reach $326,000. These are simply outrageous figures, especially if we add them to the results of our previous research. How are these websites alike? In all four cases, we are dealing with the classic "crypto-jacking". The user is not notified in any way about the fact that the mining of crypto-currencies is carried out in the background. Three of the four sites provide the function of media players that are embedded on third-party sites. We doubt that all the owners of these third-party sites are aware that the hidden mining has been built in to these players. All four sites place a miner on pages where users spend a large amount of time. This is one of the most popular streaming sites in the world. We detected mining on two domains - openload.co and oload.stream (a mirror site, apparently used for adult videos). These two domains register about 330 million visits per month at the current time. It is important to note that Openload is most often used as an embedded video player on other resources. When loading this player under certain conditions, the mining script is loaded as well and launched. Loading occurs from several different .bid domains (for example, axhkxqmrqxf.bid or mkattqhvcikx.bid), with the online purse that we already know from previous studies: T3z562MP2Zg1lIa7RUJy19d67woeZmJJ. Testing showed that in the player downloaded from the oload.stream, mining was launched every time, whereas for openload.co special conditions had to be met. Monthly earnings can reach $95,000 (estimation). This is another streaming site. A popular site, similar in functionality to the aforementioned Openload.co, Streamango presently receives 42 million visits per month. This website has exactly the same mining script as Openload.co, so we believe that they must be directly connected. The operation of the mining script is extremely simple. Each time the Streamango embedded player was loaded, the encrypted script of the miner was loaded from some *.bid domain. Monthly earnings can reach $7,200 (estimation). This is another very popular streaming site (mainly in Germany) with an estimated 60 million visits per month. In a similar fashion as Openload.co, when loading the embedded player, the encrypted code of the miner (https://www.rapidvideo.com/800d7b76ac4e7736cc7a9e9d92cb180e.js) was also loaded. The code of the miner belongs to one of the Coinhive recent clones - "Coin-Have" (https://coin-have.com). The purse connected to mining is 113ec08fd98ad5658a3700ae1418cb7a. Monthly earnings can reach $25,000 (estimation, includes Coin-Have’s commission). This site holds the absolute record among crypto-jackers at the moment. According to SimilarWeb data, this website is ranked #119 in the world by popularity. The number of visits (which is almost 490 million visits per month) is almost twice that of ThePirateBay, which actually recently started this "epidemic". The mining script was run without warning on the page where a user landed after converting video or audio. The user could stay on this page all the time while the file was being downloaded, and they were likely to remain on this page for quite a long time. OnlineVideoConverter uses another CoinHive clone - "Crypto-Loot", designed specifically for hidden use. The used purse is 38b3d37a233c3ea92af63a9d9691631c47db62a6cfe4. Monthly earnings can reach $200,000 (estimation, includes Crypto-Loot’s commission). The popularity of crypto-jacking has grown with alarming speed. Just think about it; we are talking about billions of visits, and it has been just a few months since this problem first appeared. It's like an epidemic, and it is unclear when it will stop or even slow down. At the moment, the only real solution is to use an ad blocker, an antivirus or one of the specialized extensions to combat crypto-jacking. Unfortunately, not all users know about the problem or want to use such software. The only way to completely close the issue of browser-based mining is to implement security mechanisms at the browser level. For example, Chrome developers are now discussing the possibility of such a solution. We hope it will be implemented as soon as possible. Just in case, we have saved the source code of the pages and scripts used for mining. Perhaps this will help those who are engaged in research in the field of Internet security. An earlier version of this article misstated that a billion users are affected by crypto-jacking. The said billion is a total estimated number of monthly visits of the websites engaged in crypto-jacking. Every time Apple releases a new iPhone there is a huge hype wave in news and social media, and iPhone X has not been an exception. Looks like a perfect time to release a new AdGuard for iOS version, doesn't it? The new version makes a strong emphasis on improving the Content blocker part, so the changelog won't differ much for regular and Pro versions. Renovated Assistant and the new “Invert whitelist” option are the headliners, with few pesky bugs eliminated along the way.